JENNINGSbet is a site that is known to most as a sports betting site. Now, to most it is known as a good sports betting site, and that’s undoubtedly a good thing. However, that does mean that JENNINGSbet’s casino is often somewhat overlooked, which is a shame, and also not great for tempting customers away from the huge number of other casino sites that are available. This is a problem faced by many an online casino site, it is good to offer a wide variety of gaming options, and offering sports betting alongside casino play is certainly an example of that, but it does run the risk, as has very much happened in the case of JENNINGSbet, of a site becoming known so much for one thing, that it’s other parts are overlooked. So, is it worth doing the work, if you do find your way to JENNINGSbet’s online casino, are you then faced with a site that will make you happy you made the trip? Or does it make more sense for you to simply look for one of the myriad of options that are available and easier to find than this one? The answer to that all comes down to content really. The promotions won’t do it, certainly not alone, there’s a good welcome bonus for new players, but past that, the majority of the offers appear to be for sports bet players, so what else is there to tempt you? It does not particularly help JENNINGSbet’s case that this site could not look more like a sports betting site, the banner and the headers and sub-headers all look identical to those on the sports section of the site, which is not the wisest decision if you are trying to isolate your online casino as prove it as something competitive. On the other side of that coin though, there is one very sensible design decision that has been made here, and that is to utilise thumbnails of the majority of the sites games as around 95% of the design theme. Once you get past the aforementioned banners and headers, everything else here is the made up of large thumbnails showing you all of the games on offer. 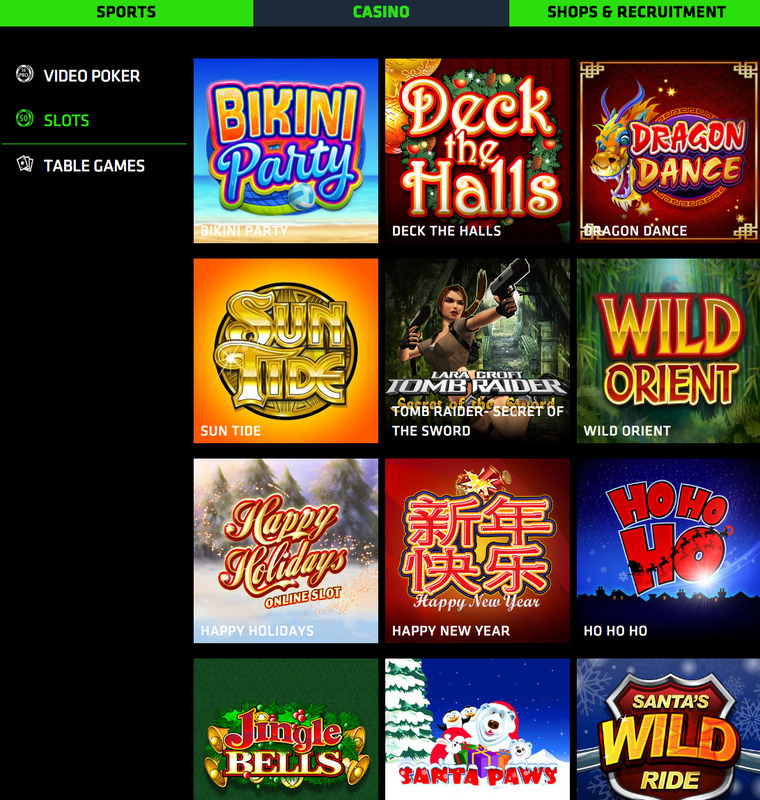 When the design is not suitable for a casino, then allowing the games to speak for themselves in terms of image is probably the best decision this site could’ve made. If you are trying to cement your place as a competitive online casino, especially if it is not what you are known for, then you must ensure that there is a wide range and large number of games on offer. Unfortunately, JENNINGSbet simply doesn’t bring titles from enough software providers to excite anyone but the newbie to the market, and even they won’t take long to realise there are much better options available. The options aren’t terrible here, you’ll find popular titles like Lost Vegas, Tarzan, and Thunderstruck II, but you simply will not find enough of them, and that’s a real shame. On one side, you’d assume that the fact that JENNINGSbet is a respected sports betting site may offer some leverage to its casino, the trust that is already there could carry over. But on the other side, their casino could easily go unnoticed, so it was necessary for JENNINGSbet’s casino arm to be impressive, and it simply is not. This is not the worst site you will ever go to, but with a basic design theme, a lack of decent promotions, and a limited amount of games on offer, it’s unlikely you’ll get what you’re looking for here.